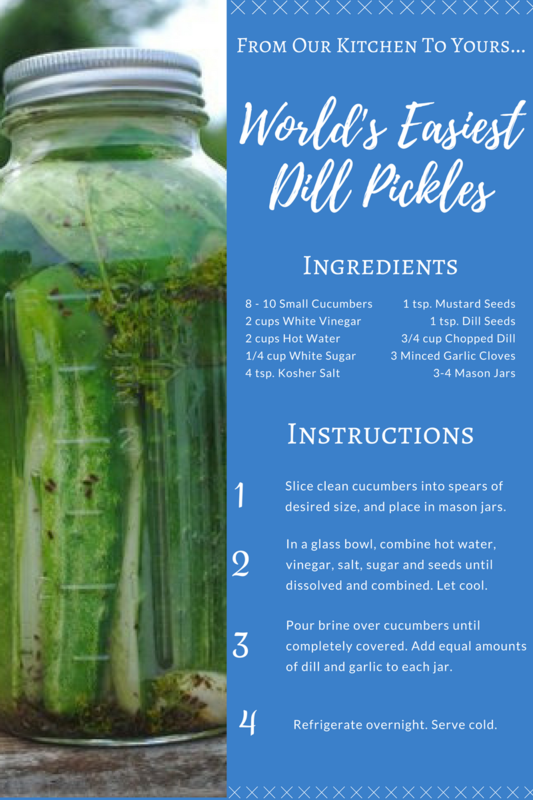 Homemade pickles are an excellent way to enjoy your garden's bounty all year long! We're excited to share our favorite recipe with you; it's so incredibly easy and delicious. These tangy pickles are sure to be a favorite at your summer barbecues!